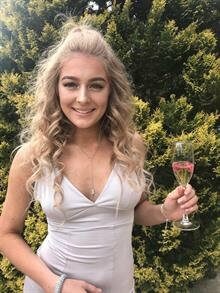 An 18-year-old woman from Belper, who suffered serious injuries in a collision in Derby, has died. Betty Wood was the passenger in a Renault Clio when it collided with a Mercedes E320 at the junction of Friar Gate and Stafford Street in Derby at 1.10am on Sunday (September 9). A statement released by Betty’s family paid tribute to the “incredibly kind, hysterically funny and exceptionally beautiful” young woman. The statement said: “Betty was a truly amazing daughter, sister and friend. She was unique. To us she was just Little Betty. Derbyshire Constabulary are appealing for anyone who witnessed the incident, particularly anyone from the Ford Street side of the junction with Friar Gate, to contact them immediately. Anyone who thinks they have any information, particularly anyone with dash-cam footage, should secure any video and contact the police with incident number 18*430380 using one of the following methods. ← Knit for Victory! Your Town Needs You!